Okeechobee Music & Arts Festival 2016 – Day 1 @ Okeechobee, FL – Got Any Tunes? I had the opportunity to attend the first year of the Okeechobee Music and Arts Festival in Okeechobee, Florida. Before I jump into the music, let me just mention that I drove about 50 miles down a single lane road into the center of Florida and when I arrived at the venue, it was like a magical world in the middle of the woods. There was a lot of thought that went into planning for this, so much attention to detail, down to the last twinkling light strung through the trees and hand painted designs on nearly every paintable surface. The whole thing was a beautifully put on production and very smoothly run. Here I am going to recap a bit from all three days, and look out for full reviews of the best shows! Check out my full photo album from Okeechobee here! I arrived sometime around 1:30 pm and unfortunately missed the first half of Roadkill Ghost Choir, an indie rock band with a dark, southern air about their music. 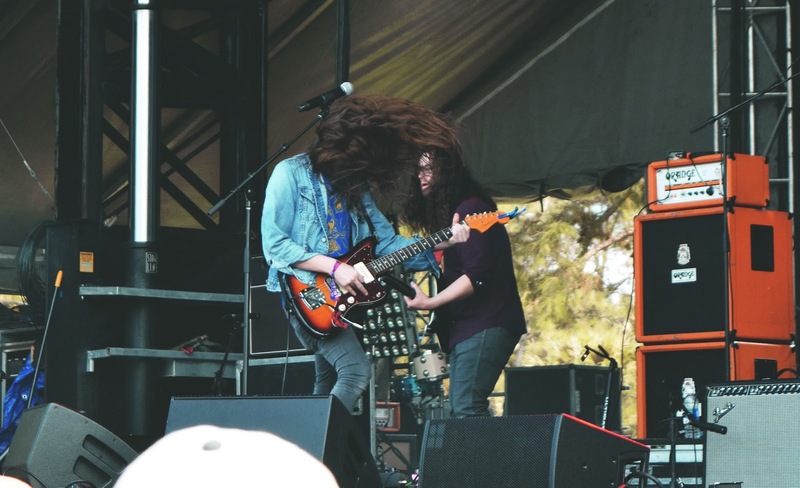 As I was strolling up to the stage, I immediately asked myself, “is that Kurt Vile? !” The lead singer and guitarist, Andrew Shepard, has that iconic long hair that made me do a double take. 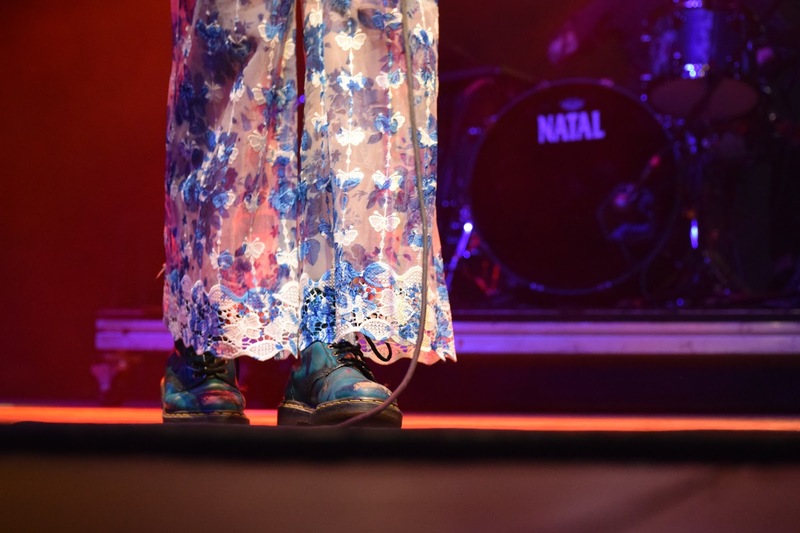 There was a lot of energy onstage, but in a very chill way. In parts of songs where Shepard wasn’t playing guitar, he sang with his hands in the same way one would be considered a hand-talker. Their last track, “No Enemy,” started off sounding more pop-rock than some of the other songs they did, but ended with a lot of screaming in the last chorus that gave the song some edge. Overall, it was a great start to the festival, and I spotted Shepard in the crowd for Marian Hills set later that day and talked a bit about his set; he is a very appreciative and humble guy. 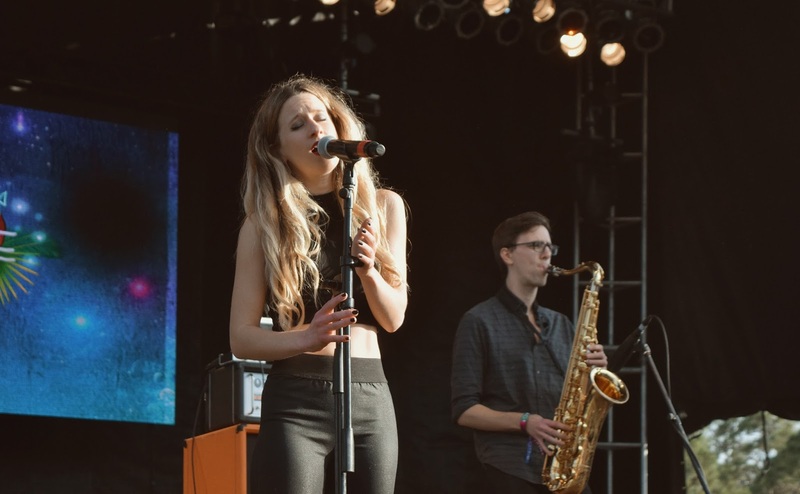 I was excited for Marian Hill’s set; my favorite radio station back in MN has been playing the hell out of their single “One Time.” Samantha Gongol and Jeremy Lloyd are the masterminds behind the sultry electronic sounds. They had a friend their playing sax and bass with them, and came onstage one by one and jumped right into “One Time.” A few songs in and their crowd just kept multiplying, probably due to the trance-inducing mix of the heavy bass and delicate vocals. 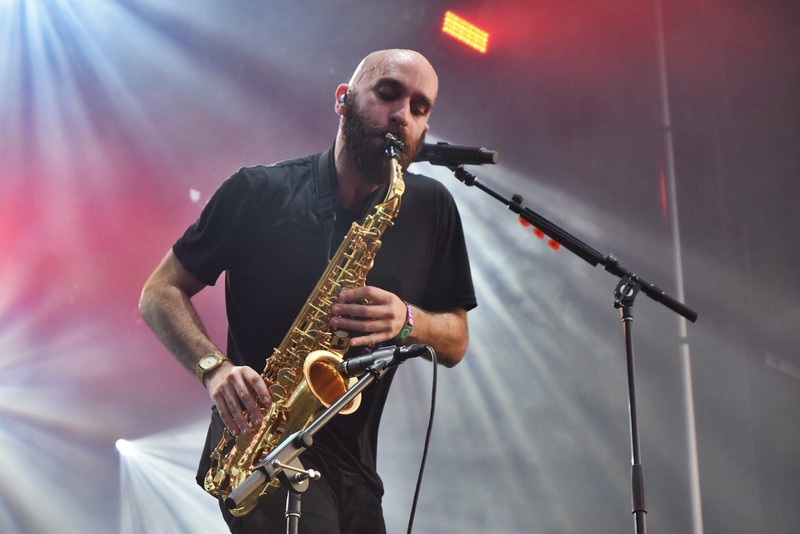 After their seventh song, Sam says to the crowd, “now we know you guys like the sax, so let’s have a little instrumental dance break,” followed by even more cheering and dancing. The closed their set with a new song, “Bought It,” Sam asked the crowd to break it down with her during the bridge, and everyone was jumping in unison without question. X Ambassadors were nothing short of what I expected. What I really appreciate about Sam Harris (lead vocals) is that he plays a lot of different instruments. When I saw them last summer in Minneapolis I was a bit off put that he was only singing, but a few songs in and he picked up a guitar and looped it, then picked up the sax and looped that too, then went on singing and jumping around the stage. The whole band is brimming with energy when they perform, though Harris takes first place for his dancing around the stage. They came out hot with an old track “Love Songs Drug Songs,” and followed that with “Hang On” which was a huge hit with the audience. “Unsteady” had every single person in the crowd singing along, although they seemed to be doing that with most every other song. Friday night I went and checked out a band, new to me, by the name of Hundred Waters, and let me say I think I fell in love. First of all, Nicole Miglis’ vocals are the epitome of ethereal, and they started off strong with a track called “Murmurs” that made me want to dance while I was in the photo pit. Their first three songs I was in the pit for and I would catch myself not taking photos, completely entranced by their music and visual art installation on the screen behind them. They remind me a bit of Poliça and FKA Twiggs with the combination of the calming, electronic sounds and Miglis’ long, drawn out crooning, not to mention the killer bass. Five songs in, and they dropped a faster, more dance-able beat with “Xtalk,” and I’ve never seen a more reactive crowd. Nearly the exact second the beat dropped, there was so much dancing, light-up rave hoopers showed up out of nowhere, and it felt like an outer space dream.